This December Scary Little Girls will take you into Mousehole Town to discover the secret stories kept by its hearths and harbour. In groups of only ten to fifteen, you set off with your guide along a specially prepared route around the night time streets of Mousehole. 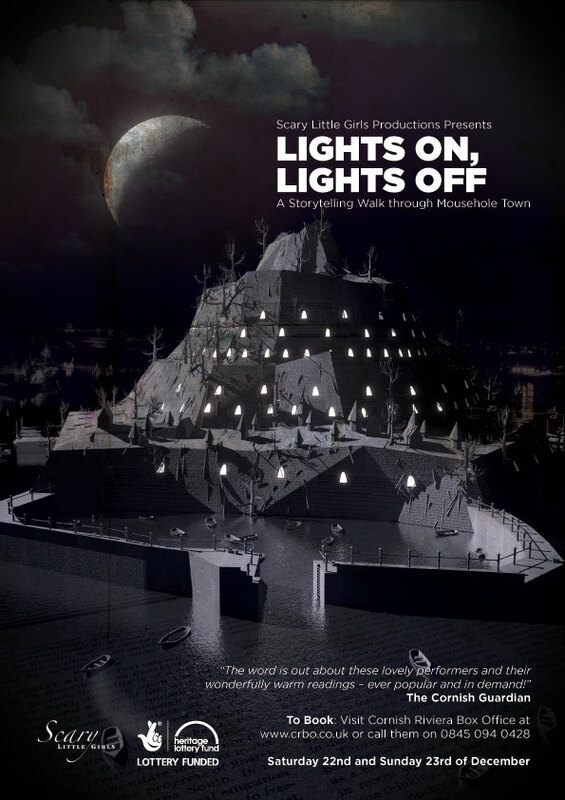 As you progress, performers hidden in surprise venues will tell tall tales inspired by this unique town and its important role in Cornwall’s seasonal celebrations. Bringing together the best in Cornish writing, this event will feature original stories from Louise Garcia, Laura Trevail and Anna Maria Murphy. Join us for this intimate, engaging and unexpected event – and see, hear and experience Mousehole as never before! Times: Walks last approx 90 minutes and depart each evening at 6pm, 6.45pm, 7.30pm, 8.15pm and 9pm. Please state clearly which time you want to depart on when booking and dress for the changeable Cornish weather!